The Health Insurance Portability and Accountability Act (HIPAA) sets the standard for sensitive patient data protection. GoSignMeUp is HIPAA compliant to deal with protected health information (PHI) with physical, network, and process security measures in place. There are unique challenges hospitals and other healthcare organizations face when collecting information from registrants. GoSignMeUp understands it is important to protect Personally Identifiable Information. HIPAA standards ensure both program administrators and registrants have confidence their data is safe. For more information about how HIPAA Compliance and how GoSignMeUp is the perfect solution to manage healthcare certification programs and professional development programs, contact GoSignMeUp at 1-888-286-4826. GoSignMeUp Integrates with Google SAML G-Suite. GoSignMeUp has now integrated with Google SAML G-Suite for identity management and federated identity-based authentication and authorization. 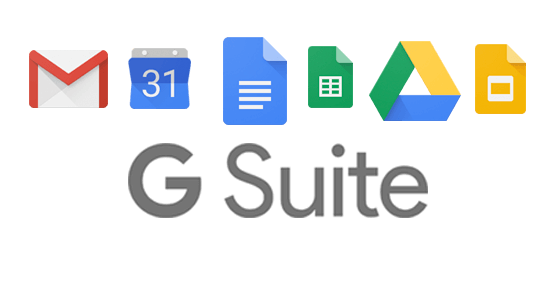 With Google SAML G-Suite integration you can take advantage of ‘single sign-on’ (SSO). SSO allows your users to sign in to GoSignMeUp and other different organizations or institutions using just one ‘identity’, including of course the entire Google spectrum of products. Google SAML G-Suite integration allows for cross-domain single sign-on and removes the need for content providers to maintain user names and passwords. Google SAML G-Suite provides an identity and access management platform enabling the right people access to the right things seamlessly and securely. A user authenticates with his or her organizational credentials, and the organization (or identity provider) passes the minimal identity information necessary to the service provider to enable an authorization decision. Google SSO also provides extended privacy functionality allowing a user and their home site to control the attributes released to each application. GoSignMeUp now benefits from these features through Google SAML G-Suite Identity integration. GoSignMeUp online class registration and management software saves training organizations time and money – and makes the user experience easier and more secure using Ping integration. GoSignMeUp also supports other SSO options thru an LMS (such as Blackboard Learn, or Canvas), Microsoft Azure, Okta, PING, CAS and Shibboleth. Contact GoSignMeUp for pricing information or questions about our registration software or more about how GoSignMeUp Integrates With Google SAML G-Suite. Be sure to take advantage of our current Spring Special! we understand the headaches of annual financial planning. So start using GoSignMeUp today and defer payment until 7/1/2018. Plus get two months free! Powerful tools that will streamline your online registration tasks. GoSignMeUp is perfect for Continuing Education, K-12 Staff and Professional Development, Inservice Training, CME, Professional Development, Employee Tracking, and Student Enrichment. Quicker and easier registration process. Improved analytics with our 55 powerful and practical reports. Countless hours of administrative time saved with our automation features. GoSignMeUp’s online class registration software lets you focus on the course content, not the course paperwork! Save time, save money and make the entire process easier and more convenient for everyone involved – instructors, administrators and enrollees. Perfect for professional development, continuing education, client education, and student enrichment. Embed the registration forms right on your existing web site or use GoSignMeUp’s institution branded storefront catalog. Subscribe before your new fiscal year and get 2 months free! Plus Payment not due until July 1. All future yearly renewals due at the start of each fiscal year. Start using GoSignMeUp now and have all your payments line up with your fiscal year. Contact GoSignMeUp to take advantage of our Spring Special! GoSignMeUp is fully customizable to match your current corporate branding strategy. Brand your site to meet your standards with GoSignMeUp online registration software You can control everything – from the web address, how emails look, the terminology used and even the branding and coloring of the pubic side catalog. You can choose a site address that uses the .gosignmeup.com structure, or your own domain name. Setting up the system is a snap! On the password-protected administration side, managers can control every aspect of their GoSignMeUp installation. Our implementation specialists will help you every step of the way. Personal training and ongoing support is included with every GoSignMeUp purchase. The public side of GoSignMeUp is where your users will search, sign-up and pay for courses. This can be a stand-alone branded catalog page with a unique web address, or it can also be embedded into your current web site. You can even let your users choose a different language! Branding your public catalog is easy! Simply upload your current corporate logo and any graphics and text you wish to appear on the screen – or our in-house designers can do it for you! Change the coloring of your navigation to match your corporate site with just a few mouse clicks. You can also organize your courses using custom identifiers such as color groupings or icons. Each course also can have its own unique media assigned to it, to make them stand out and add a little pizazz. Create branded emails, name tags and completion certificates. It’s easy to get your GoSignMeUp system in line with your corporate branding guidelines. Terminology is also customizable. If your organization has different titles you can easily modify the GoSignMeUp system to match! As you can see, GoSignMeUp online registration makes it easy to brand your system to match your current design strategy. For more information, visit gosignmeup.com, or call 888-286-4826. GoSignMeUp online registration makes it easy to search, sign-up & pay for courses with just a few mouse clicks. It’s easy for registrants to search, sign-up and pay for courses using GoSignMeUp! GoSignMeUp online registration makes it easy to search, sign-up & pay for courses with just a few mouse clicks. From the public-side course catalog, there are many ways to search for a class. On the left hand side are main categories of classes to organize your course listings. When you create a new course in GoSignMeUp, you determine what the main category is. These categories are customized by you. Clicking on a main category reveals the subcategories which further breakdown and granulate to the classes themselves. Click on a subcategory, and the classes in it appear on the right side. These listings can be sorted alphabetically, by course title, location or chronologically by date. you can decide which is the default. For in-seat courses the physical location is also listed, including a hyper-linked map. The courses can be displayed in list view or tile view. Tile view allows you to assign a graphic element to identify your courses, while list view is a more space-efficient way to display many courses. Use the Search field to find courses using keywords in the titles and descriptions. The Date range option allows you to find courses available between a specified Start and End date. The Calendar view displays courses chronologically in a monthly, weekly or daily calendar format. Summary information is available when you hover over a course, or simply click to bring up the Expanded description view. The Expanded description is a very efficient and intuitive way that provides all of the course information, location, time, and whatever media links you would like to include – even video if you wish. Courses can be free or have pricing information. There is also the option for you to include materials available for purchase, and have a prerequisite option if desired. Registering for a course is easy. When a student logs in they can see what courses they are already enrolled in, as well as see the Wait Space option. With the Wait Space option, students can continue to sign-up for a full course, but will only be enrolled if someone else cancels. You can continue to add courses to your shopping cart, or Checkout at any time. The checkout process is very simple and requires only a few mouse clicks. On the Review screen you can see the currently selected courses, and any materials or options listed. You also can assign special pricing options using Coupon codes. If you are charging for courses the Payments screen then offers payment options, including charging credit cards through a supported payment gateway. Once enrolled in the course, GoSignMeUp sends out a confirmation email to participants. This email can contain up to 5 attachments, gives details about the course, and includes a VCS file to add the information to a student’s local Calendar. Two other reminder emails will also go out as the course date approaches – automatically! As you can see, GoSignMeUp online registration makes it easy to search, sign-up and pay for courses with just a few mouse clicks. GoSignMeUp Integrates With Azure. GoSignMeUp has now integrated with Microsoft Azure SSO for identity management and federated identity-based authentication and authorization. With Microsoft Azure integration you can take advantage of ‘single sign-on’ (SSO). SSO allows your users to sign in to GoSignMeUp and other different organizations or institutions using just one ‘identity’. Microsoft Azure integration allows for cross-domain single sign-on and removes the need for content providers to maintain user names and passwords. Microsoft Azure provides an identity and access management platform enabling the right people access to the right things seamlessly and securely. A user authenticates with his or her organizational credentials, and the organization (or identity provider) passes the minimal identity information necessary to the service provider to enable an authorization decision. Azure also provides extended privacy functionality allowing a user and their home site to control the attributes released to each application. GoSignMeUp now benefits from these features through Microsoft Azure Identity integration. GoSignMeUp also supports other SSO options thru an LMS (such as Blackboard Learn, Haiku, or Canvas) Google SSO, Okta, PING, CAS and Shibboleth. Contact GoSignMeUp for pricing information or questions about our registration software or more about how GoSignMeUp Integrates With Azure. Charge for courses and materials seamlessly in GoSignMeUp using Square credit card processing – Accept Credit Cards Anywhere With Square! GoSignMeUp Registration Software integrates with popular payment processors such as Square, Authorize Net, PayPal, Touchnet, Chase, Pay.gov, Nelnet and Ipay. Its easy to charge for courses, or sell materials, with your course registration portal. GoSignMeUp has a lot of built-in reporting features to help track these purchases as well. You can even set up your system to charge for units – before and after course completion! Its never been easier for students to search, sign-up and pay for courses using GoSignMeUp online registration software. With this new credit card processor integration, you can accept credit cards anywhere with Square. Please contact GoSignMeUp if you would like to start charging for courses or materials using Square or other payment gateway. Use Canvas To Track Professional Growth! register for both Online and In-Seat Professional Development. You can then track and analyze their progress with robust reporting tools. You’ll wonder how you ever got along without it! If you need to manage both in-seat and online courses, GoSignMeUp is the only solution. Need to charge for courses, sell materials or offer an external catalog to a public market? Call GoSignMeUp! Promote paid or free programs with GoSignMeUp’s institution branded storefront catalog. If you would like to use your Learning Management system for Professional Development, GoSignMeUp is your answer! Manage both in-seat and online courses in one place – offer LMS courses to the public! Turn your LMS in to an income stream using GoSignMeUp! GoSignMeUp and Canvas integrate to create a robust Professional Development solution.